Collegiate Bed Loft Company, Inc. has a limited number of lofts available. Lofts are leased on a first come first serve basis. The Residence Hall Association (RHA) has partnered with Collegiate Bed Loft Company, Inc., a company that provides bed loft kits for residential rooms as well as offering area rugs and other accessories. Collegiate Bed Loft Company, Inc. is the only allowed and approved loft that can be used at the University of Mary Hardin-Baylor. Order online. MasterCard and Visa are accepted. The amount you pay leases the loft for the fall and spring semesters. The loft will attach to the bed supplied by the University. The loft will be installed in your room when you arrive and removed after you move out. Setup and take down are included in the lease cost. Area rugs and other accessories, such as hammocks, can be purchased from this site as well. NOTE: Bed loft availability is limited and does run out. 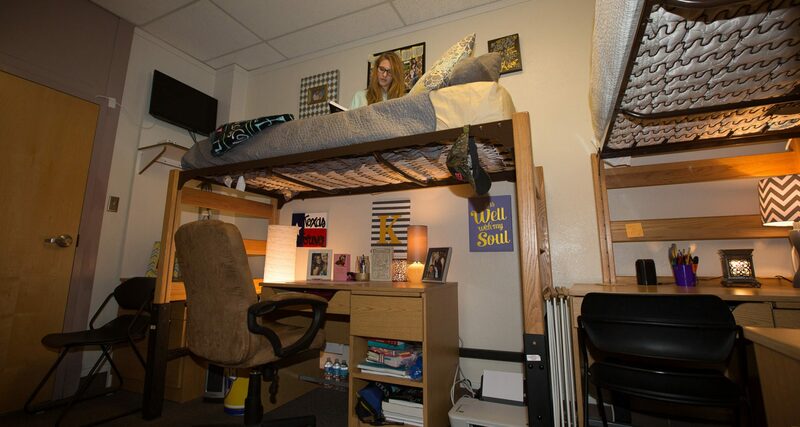 It is important to order your bed loft as early as possible and the Residence Life Office does not guarantee availability of lofts from the approved company. Collegiate Bed Lofts is the only company that is allowed to lease lofts to our students and students cannot build or bring in another loft.